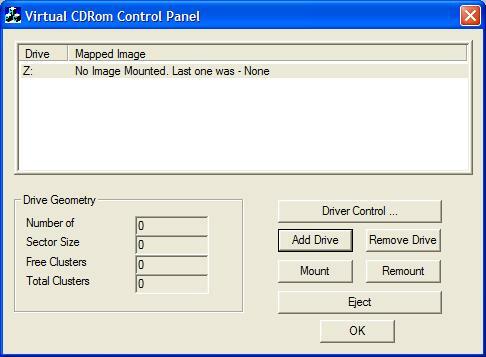 Virtual CD-ROM Control Panel utility enables users of Windows XP, Vista, and 7 to mount ISO disk image files as virtual CD-ROM drives. This can be highly useful for reading disk images to install software or recover backup files. This tool is not supported by Microsoft; use at your own risk. Windows 8 users do NOT need this tool. Windows 8 natively supports ISO files. In Windows 8, you can simply open an ISO file and Windows automatically assigns it a drive letter and reads it as a virtual drive. If you need more information please contact the developers of Virtual CD-ROM Control Panel (Microsoft Corporation), or check out their product website.